Are you scouting for funny and impressive ways to announce the new arrival in the family? 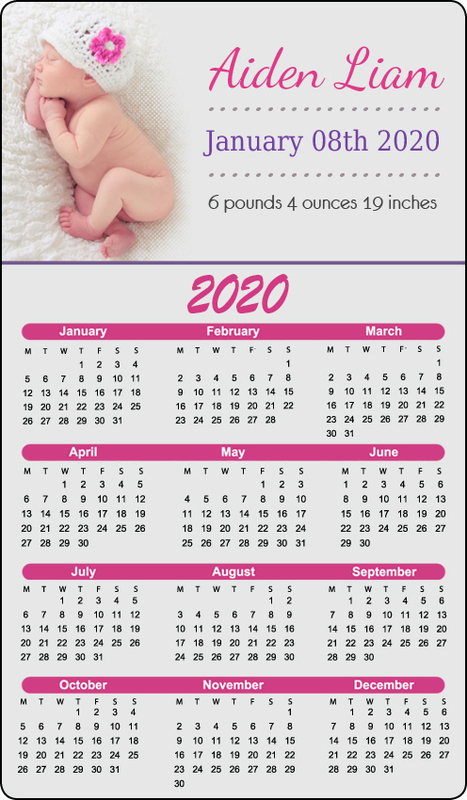 You should try this customized 3.5x 6 inch round corners birth announcement calendar magnets – 25 MIL. You can easily personalize this magnet with baby photo, information and other details. It is definitely going to be a gift to remember. We can design it for you or you can send us your designs. Proudly produced in USA using high quality resourced material, this magnet is indeed an exciting way to announce the arrival of your baby to all your family, friends and loved ones. 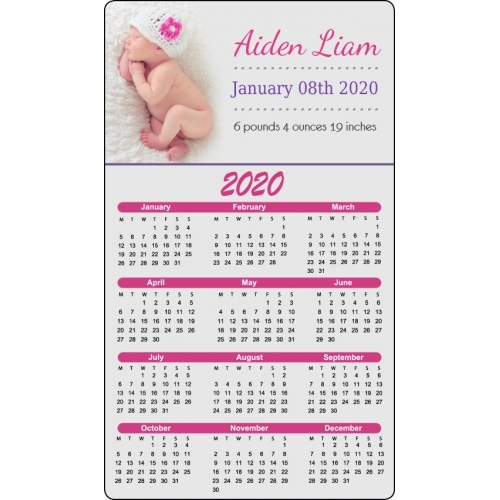 Request a quote to know discounts and other value benefits that can be availed on wholesale custom 3.5x 6 inch round corners birth announcement calendar magnets – 25 MIL.